News flash: East Auckland is a stunning. With plenty of things to do for foodies, beach-lovers, adventurers and history buffs, it’s a side of the city that everyone should experience, ASAP. Whether you’re looking for somewhere new to visit, or you’re a local keen to uncover some hidden gems, here are the best things to do in East Auckland. At none other than Howick Historical Village, of course. Explore Howick as it was in the 1800s during one of the Live Days, when the village turns into a living colonial museum. There will be a marching band, a horse and carriage, soldier military drills, Victorian games and much, much more. Located in the stunning ‘burb of Bucklands Beach, Howick Golf Club is one of the best things about East Auckland. Several holes are situated on the peninsular cliff tops themselves which means spectacular views across the Hauraki Gulf. Wake up bright and early for the Howick Village Market. Held every Saturday from 8am, the market is chock-a-block with treasures and edible goodies. It’s one of the best things to do in East Auckland, that’s for sure. For the perfect afternoon turned evening, hop on the ferry to Half Moon Bay. 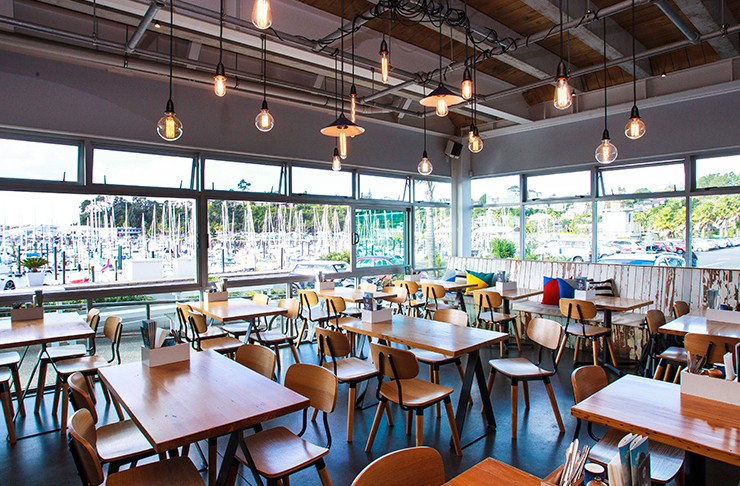 There you’ll be able to stroll along the marina before grabbing a bite to eat at Grangers, one of the best restaurants in East Auckland. Enjoy a post-meal stroll from Half Moon Bay to Bucklands Beach. If the weather’s warm enough, take a refreshing dip but be sure to let your food settle first! Who doesn’t love a picnic?! Well, Omana Regional Park is one of the best places to picnic in East Auckland. Load up on snacks (make cheese a priority), bring the picnic blankey and have a lovely arvo. Omana Regional Park also happens to be home to a tops camping ground. Cliff Top Campground has space for 100 peeps and offers awesome views. Explore all the Eastern suburbs with the Pohutukawa Coast Trail. This magnificent 5km walkway will take you from Whitford all the way to Umupuia, just a 10-minute walk from Clevedon. It’s an East Auckland must-do. If you’re into kayaking, this one’s for you. Embark on the multi-day, self-guided kayaking tour along Te Ara Moana. Meaning ‘the sea-going pathway’ in Māori, this route is rich in history and was once used for travelling between settlements. 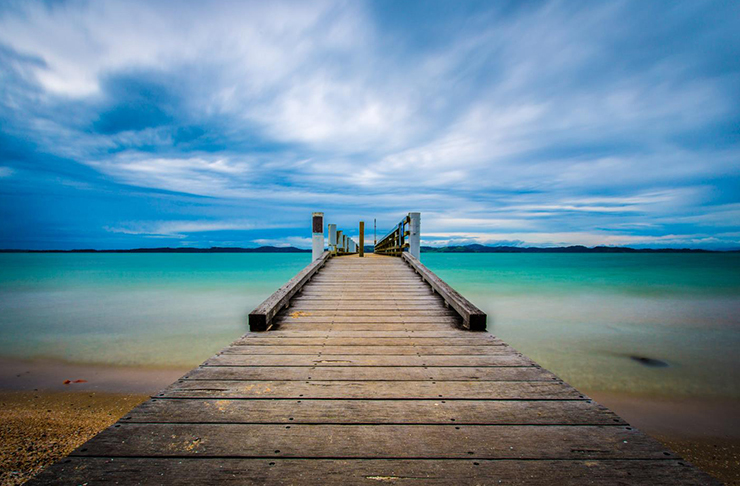 The trip takes five days and will see you set off from Omana Regional Park in Maraetai and ending up at Waharau Regional Park. Find out everything you need to know about this epic trip here. Can’t see yourself taking on a five-day kayaking trip? Fair enough. Fill your belly, instead! The Pine Harbour Fresh Market takes places the first Saturday of every month and takes its #inspo from a traditional French market so you know it’s going to be good. Wine-lovers, this is one of the best things to do in East Auckland. Located in Whitford, Turanga Creek is a family owned and operated vineyard, winery and restaurant with an organic and biodynamic approach. Feast at their restaurant or try their vinos at the cellar door. Because who wouldn’t want to?! These cute, smiley, fluffy creatures are the best and can be found at Cuesta Alpacas in Hunua. The farm is home to around 100 alpacas and offers tours where you can get up close and personal with these friendly things. Head to UXBRIDGE in Howick for a much-needed dose of art and culture in your life. This gallery, theatre and workshop space is one of the best things about East Auckland. With the ever-changing exhibitions at Malcolm Smith Gallery and the wide range of classes (think cupcake decorating classes, soap making, belly dancing, language lessons and so much more), you’ll find something to peak your internet, fo sho. Bit of a car buff? Make your way to Pine Harbour Motorsport Park to see a small but mighty collection of rare, vintage cars. West and North Auckland may be known for their stellar beaches but East Auckland has got some goodies, too. Maraetai and Beachlands are two of the best beaches in East Auckland with white sand and plenty of space for a decent stroll. Whether you consider yourself a damn fine baseballer or someone who can’t bat to save themselves, an arvo at The Fieldhouse is a guaranteed fun time. Step into the batting cage and show us what you’re made of! The interior of The Apothecary in Howick dates back to 1950s Northern France, lovingly restored to function as a top-notch eatery. Visit for breakfast, lunch or dinner and be treated to all the goodness including an awesome brekkie burger, chicken parm, and signature platter for two. One of the best things to see in East Auckland, this bird garden is home to several native and exotic birds. It’s run by Blake Twigden, a talented artist and conservationist who has created one of East Auckland best-kept secrets. Say goodbye to inner-city stresses with a visit to Duder Regional Park. This stunning East Auckland park is located on the Whakakaiwhara Peninsula and offers the most amazing views. Camp, visit the beach, collect shellfish, walk the farm loop and so much more. Just be sure to educate yourself on Kauri dieback before you go—we all must play our part. Be it Mount Wellington or Pakuranga, East Auckland is home to some of the best night markets in the Auckland area. 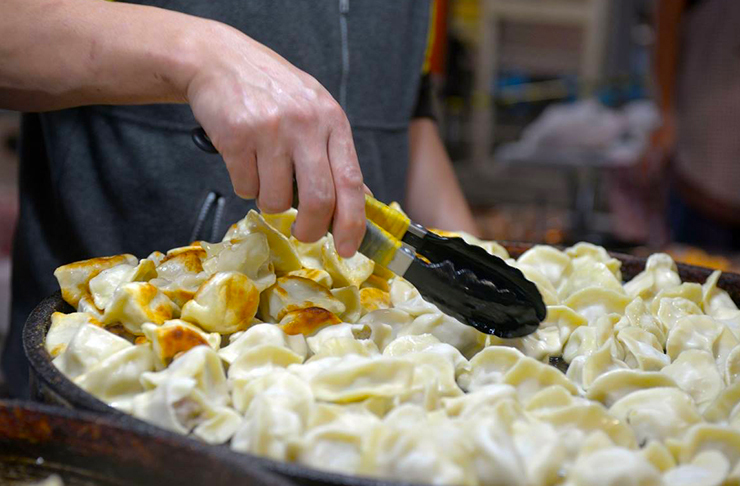 Feast on dumplings, real fruit ice cream or noodles and don’t regret the food coma—it’s worth it. Pop on your helmet, hop on your bike and cruise down the 9km Pukuranga Rotary Walkway. This fully paved and totally flat track runs along the water and is an East Auckland gem. One of the coolest parks in Auckland? Snakes and Ladders Park, hands down. Featuring slides as snakes, ladders as ladders and a giant dice to determine whether you climb up or slide down. So. Freakin’. Cool. Monterey Cinemas in Howick serves up a quintessential boutique cinema experience. Catch an indie movie or a live concert screening and ask yourself why you don’t venture out East more often. Even if you’re Bambi on ice in human form, ice skating is always a hoot. Paradice (geddit?!) in Botany Downs is one of Auckland’s best ice skating rinks and will have you up and skating in no time...even if it requires a few bruises on the booty. Pssst: it even has laser tag! If ice skating isn’t enough, nail an awesome skill with Forgotten Arts in Clevedon. These guys host hands-on workshops where you learn to make your own candle, hat, knife, soap, cheese or the ultimate scone—an essential life skill, don’t ya know? Are those wedding bells we hear? 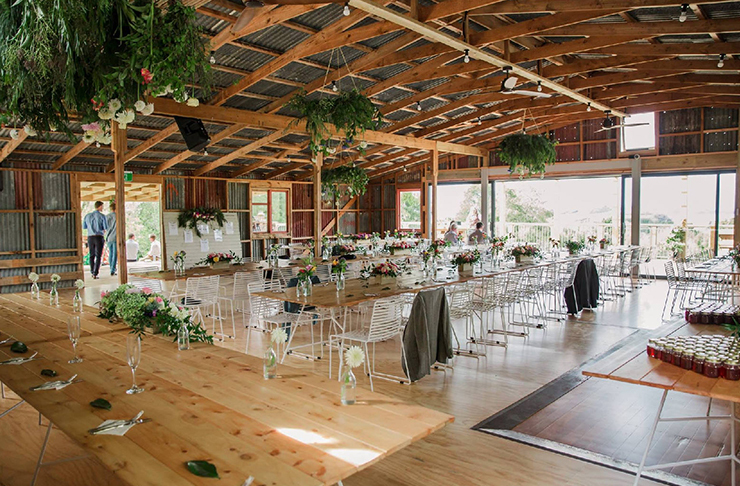 Get married in East Auckland at Clevedon’s stunning Nocton Woolshed. This rustic wedding venue oozes Pinterest-worthy vibes and has everything you need to pull off an unforgettable day. The woolshed has been lovingly restored to perfection and has views of the Hauraki Gulf. What more could you want?! A beautiful spot in the Hauraki Gulf, Ponui Island aka Chamberlain’s Island. Fun fact: it’s home to New Zealand’s only feral donkey breed! Looking for a stellar East Auckland restaurant? Basalt in Howick is the place to go. With an awesome line-up of weekly deals (our fave is Sweet Tooth Tuesday) and a wide range of tasty food, it’s definitely worth the visit. Pick up some classic Kiwi tucker and set up a picnic on Maraetai Wharf. It’s a winning combo.